Anyone who has ever been to Vancouver, British Columbia, will agree that a more beautiful city in a more beautiful setting will be hard to find. Framed by the North Shore mountains and the blue water of Georgia Strait, Vancouver offers residents of and visitors to Vancouver an unparallelled view of the great outdoors. 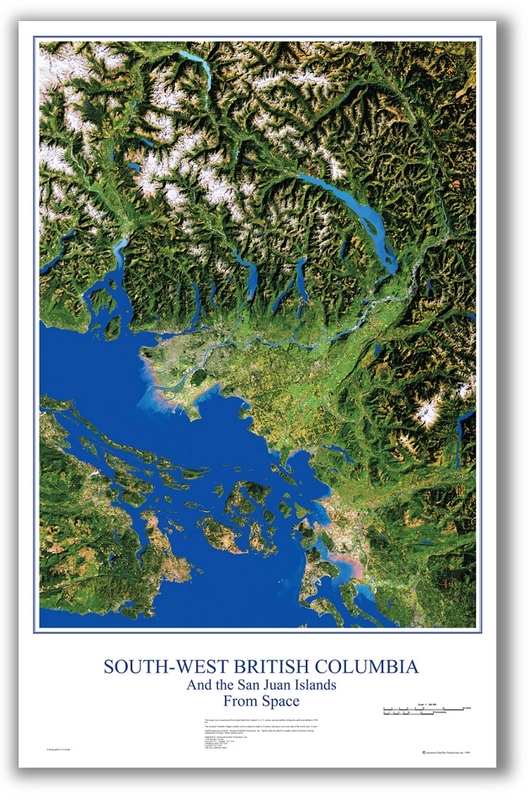 Our South-West BC poster covers not just Vancouver, but also Victoria to the west, Hope to the east and Anacortes, WA, to the south. Feature: 25.5 in. by 39 in. Feature: Scale: 1:160 000 Approx.